For as immensely influential as Fist of the North Star is in the manga/anime space it is kind of surprising that it has so few remarkable video games. Sure, one can point to a certain Arc System Works fighter or various Musou titles under the Fist of the North Star name, but for pretty much all the wrong reasons. This is why is why a new Fist of the North Star title made by Sega's Yakuza development is an exciting prospect. even if its head is in the right place. 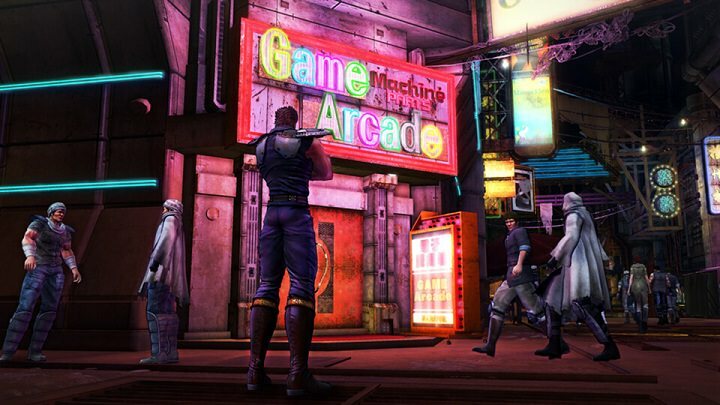 Where the least amount of concern is needed is wondering whether or not Fist of the North Star: Lost Paradise is approachable for those not already well-versed in the series lore (like me). The central plot of Lost Paradise is generally easy to grasp and is rarely more complicated than the main character Kenshiro trying to find his fiancee within an isolated city called Eden. Everything else is simply a matter of adjusting to the absurdity of its heavily-influenced-by Mad Max setting and accepting that disproportionate macho men are able to use over-the-top martial arts that can make peoples' heads literally explode. Those that do know a thing or two about the series will recognize its alternate narrative canon from the source material despite featuring plenty of familiar faces. Beyond that, it is very easy to treat Lost Paradise as if it was just another PS4 Yakuza game. Sega makes little attempt to hide its development pedigree from a shared emphasis on 3D beat 'em up gameplay, tons of playable sidequests/mini-games within a central town, to even going as far as to have many shared voice Japanese talents for the main cast (although, an English voice acting option is available for those that want it, unlike recent Yakuza games). It is honestly uncanny the many unapologetic nods that the game has to Yakuza games, but on the flip side, the distinctly different post-apocalyptic setting can make it a fresh contrast to those who have seen the bustling Japanese streets a few too many times lately. Still, because it so easily evokes the many similarities to recent Yakuza games it also begs the quality comparison between the two, and on that front Lost Paradise is far less consistent. It is a weird thing to say considering how crazy powerful the player often feels while controlling Kenshiro as he recites the iconic "You are already dead" line as enemies turn into gory mush in the background, but the combat does not flow well for the most of the game. There are a lot of minor annoyances with it, everything from Kenshiro's overall lack of AOE attacks (despite constantly throwing huge enemy mobs at him) to some overly long skill animations early in, and most of it stems from how slowly the game doles out new skills & level-ups to eventually remedy them. It is a real shame because there are some clever boss moments and very stylish ways to dispatch foes in context-sensitive QTEs and is hindered by the slow progression. This is the main recurring theme of Lost Paradise in that just about all progress is buried beneath a fair amount of unnecessary grind and padding. Want to progress the main story? Well, at a certain point you need to upgrade your buggy vehicle to explore new zones. Want to upgrade your buggy? Then you need to grind for resources/unlock treasure maps that appear randomly outside of town. Want to not have to rely on RNG for materials? You should do the bartending mini-game which requires a Mario Party level of controller mashing (despite being very amusing visually) but makes Eden merchants sell more materials. It is an obtuse process of Do A, but to do A you need to do B, and to do B you need to do C, etc. This design philosophy is very counterintuitive to the ways Yakuza styled games tend to be enjoyed where the side content can be engaged as much, or as little, as the player wants to and Lost Paradise does not offer that sort intrinsic gameplay flexibility. The weirdest part of all, however, is that there are genuinely cool moments when the gameplay all comes together. For example, there is a surprising amount of Sega fanfare throughout. This includes full-fledged arcade ports like Space Harrier, unlockable musical tracks that play while driving from Binary Domain to Phantasy Star Online 2, to the Sega Master version of Fist of the North Star (...which is not a good game, but it is the thought that counts). Even the sidequests have their neat moments like surprising earnest little substories to utterly bizarre objectives like playing "baseball" against oncoming motorcyclists. But because the game paces its many gameplay and campaign components so poorly it becomes difficult to appreciate the title as a whole when it is so eager to overstay its welcome. 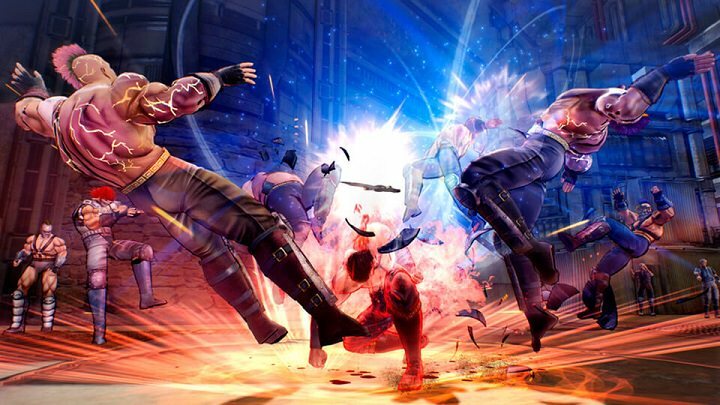 Fist of the North Star: Lost Paradise is title frequently torn between two identities despite having good intentions with both. 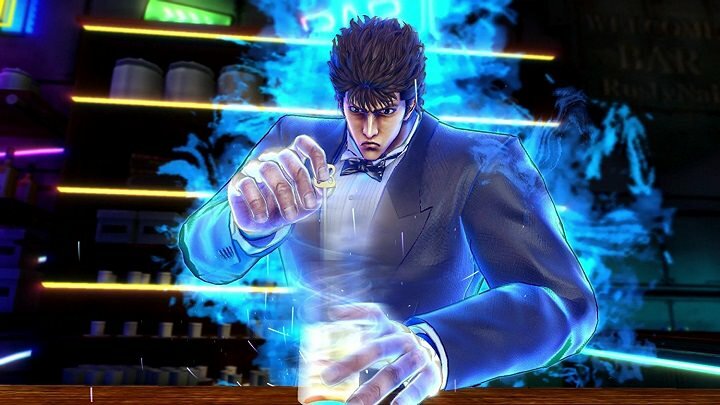 As a licensed game, the Yakuza-gameplay-meets-Fist of the North Star-setting is so close to a working peanut butter & jelly combo, but does not quite take the best lessons from either franchise. Still, those willing to try out a new "Yakuza" game at the risk of a noticeable step back in overall gameplay quality (compared to recent entries; mostly pacing and production values) may be pleasantly surprised by the novel approach to the Fist of the North Star license, even if it may not necessarily make your head explode for the better in the long term.